A giant leap forward in binocular design and function. This advanced optical design keeps everything in focus, near and far. Adjusted Transmission) technology let you see deer and other game that are hiding in foliage and shade. The new Predator AF keeps prey in focus at any speed, any distance. Advanced CAT™ lenses reveal game hidden in cover or shadow. Bright 3D depth and detail enhance your target in all conditions. 8x30 or 10x42 power. Bombproof Makrolon® body. Agile open-bridge design. Waterproof, fogproof, razor-sharp scouting anywhere. Clearly, this is the one to take when you’re out for meat. 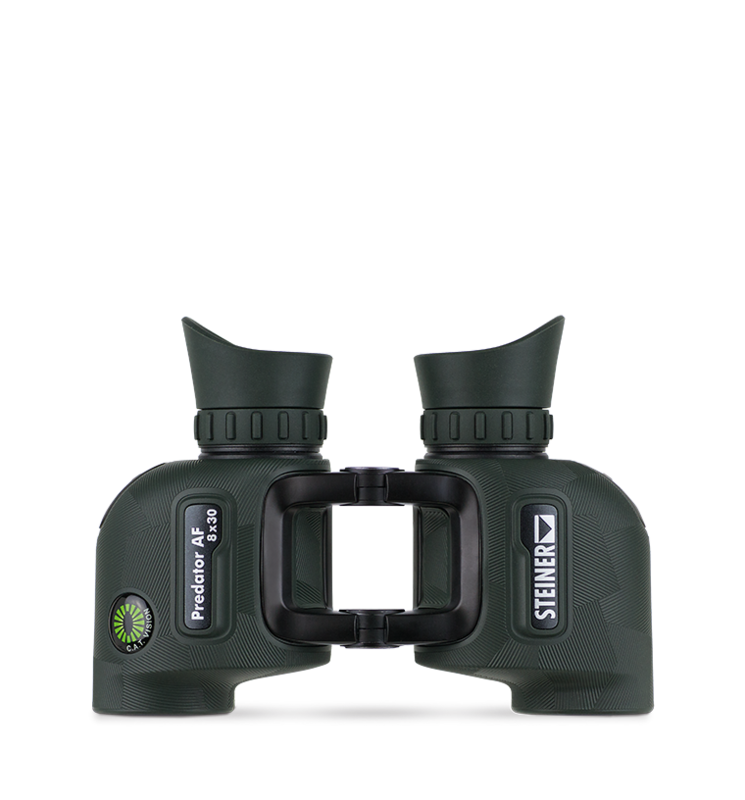 "2019 Best Lightweight/Travel Binocular for Hunting." lets you focus each eyepiece to your vision once, then keeps images razor-sharp from 20 yards to infinity - no more chasing focus on moving objects. makes this binocular lighter and easier to grip. It’s also more comfortable to hold when scouting for game.